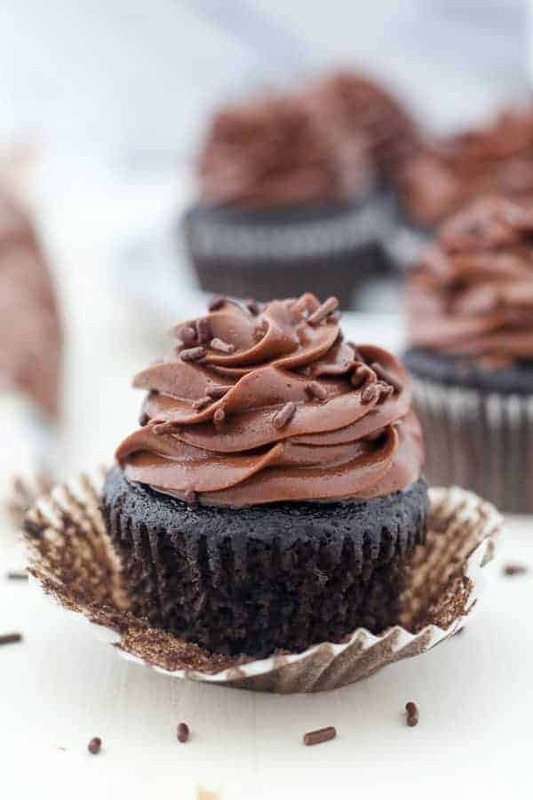 Everyone needs a go-to chocolate cupcake, one that makes your mouth water, one that you inhale so fast you hardly stop to take a breath. Look no further my friends. 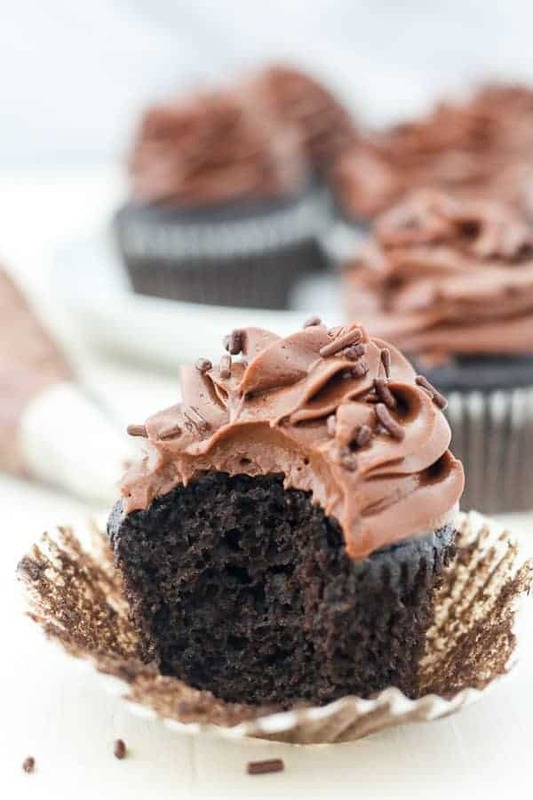 These Moist Chocolate Cupcakes are seriously insane. They are light and fluffy and stay moist for days. Seriously you guys, no other cupcake recipe can compare. 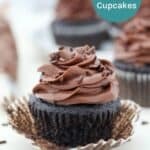 This homemade cupcake recipe is easy to follow. It’s an oil-based chocolate cupcake, so it’s also very quick to put together. There’s no waiting for butter to soften and no creaming butter and sugar together either. I’ve tested this recipe numerous times before I chose on the final recipe. The first time I made it, I thought it was absolutely perfect, and I thought that I’d try a few other variations just to be sure I had the right one. I could not stop thinking about how much I loved that first version. It reminds me of my favorite doctored cake mix. The chocolate flavors isn’t overly sweet or intense, which is kinda of nice because once you add the frosting, it’s the perfect balance. Speaking of the frosting. 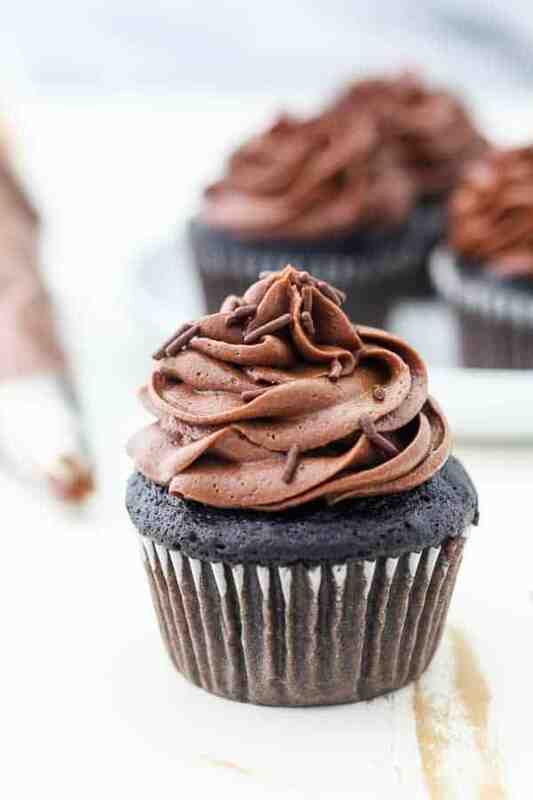 Do you remember the Chocolate Cream Cheese frosting I shared recently? Yeah, we’re doing that again. 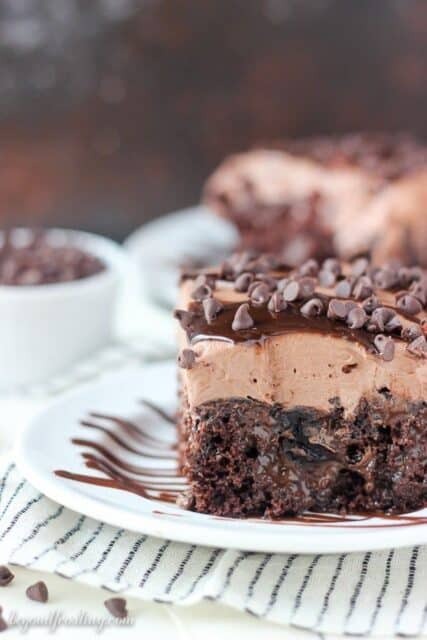 If you don’t love cream cheese frosting (I mean really though), then you might try my chocolate fudge frosting or my best chocolate frosting. All good contenders, but the chocolate cream cheese frosting is by far my favorite. It light, and airy and whipped to absolute perfection. Let me share a few tips with you. First mix together the granulated sugar, eggs, oil and vanilla extract. Next, the recipe calls for sour cream, specifically I use light sour cream. 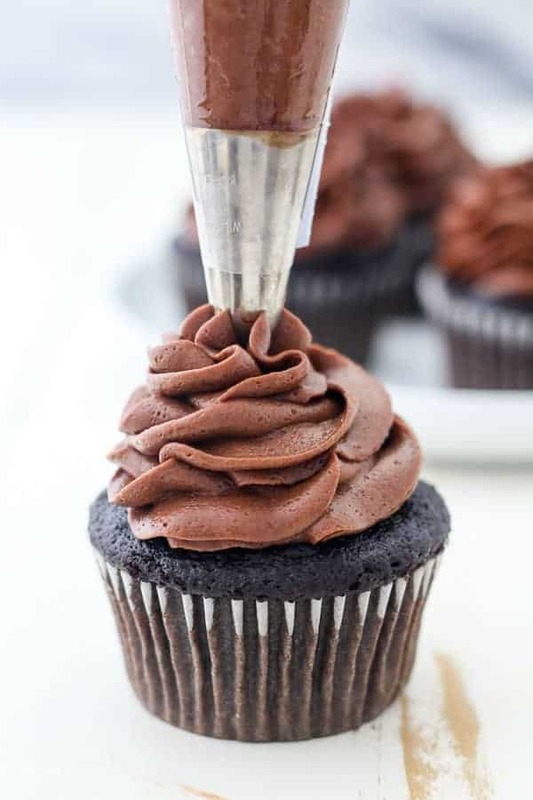 It helps maintain the moisture in the cupcakes without making it overly dense. It cannot be omitted, however is can be substituted with non-fat Greek yogurt. Then comes the dry ingredients. I recommend sifting the flour and cocoa powder at the very least. I use a sieve instead of my sifted, just something to break up the clumps of flour and cocoa powder. Combine all the dry ingredients in a separate bowl including the baking powder, baking soda and salt. Then we are going to alternate half the dry ingredients with half of the wet ingredients which allows the dry ingredients to combine in the batter without over mixing. For the wet ingredients, we’re using brewed coffee. No, your cake will not taste like coffee. 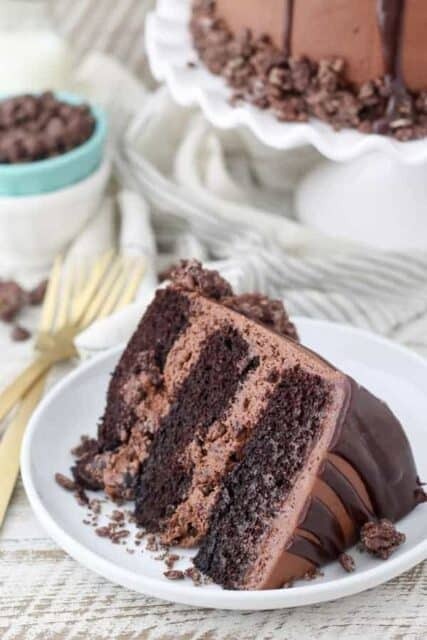 The coffee flavor simply enhances the chocolate flavor of this cake. If you absolutely cannot use coffee, then I would recommend milk. Once all your ingredients are combine, use a large cookie scoop to divide the batter between your cupcake liners. The batter will be quite thin, but try your best not to overfill them. You might also find it helpful to remix the batter when you get towards the bottom where the extra oil and eggs like to hang out. 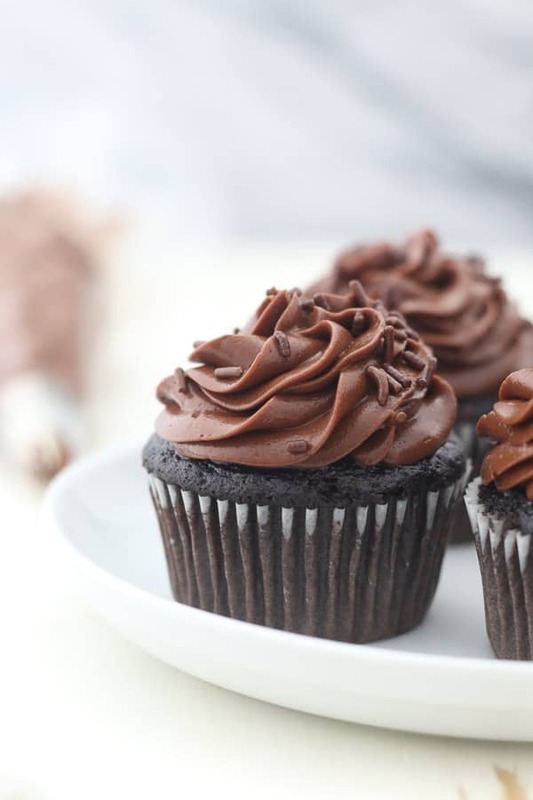 This recipe for Moist Chocolate Cupcakes makes a solid 24 cupcakes. If you’re more interested in a traditional 9×13-inch cake, don’t worry, I’ve got you covered. My Super Moist Chocolate Cake recipe is the same recipe, just with a reduced amount of frosting. 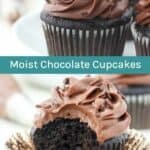 I hope you make these Moist Chocolate Cupcakes and you love them as much as I do! 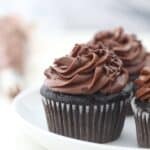 This mouthwatering moist chocolate cupcake recipe is a homemade chocolate cupcake topped with a silky chocolate cream cheese frosting. Next, add the confectionary sugar 2 cups at a time, followed by one tablespoon of heavy whipping cream and vanilla extract and beat for 60-90 seconds until completely smooth. In a large piping bag fitted with a large open star pipping tip, pipe the frosting onto the cupcakes. Keep in an airtight container. Just made this recipe. Cake was moist and delicious. My only issue was the coffee gave a slightly bitter aftertaste. Can I opt the coffee and use something else? You can use full fat sour cream or nonfat Greek yogurt. Just made these and they turned out perfect! 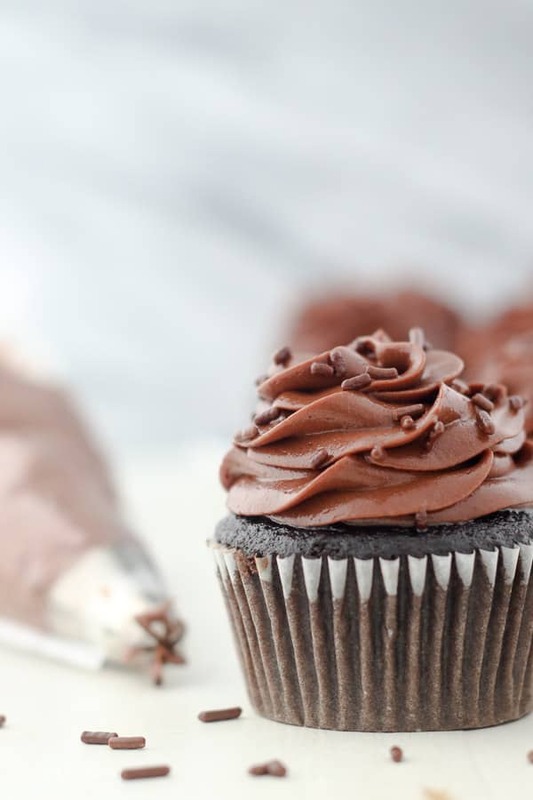 Thank you for my new go to chocolate cupcake recipe. Sherry that is awesome!! Thank you so much! 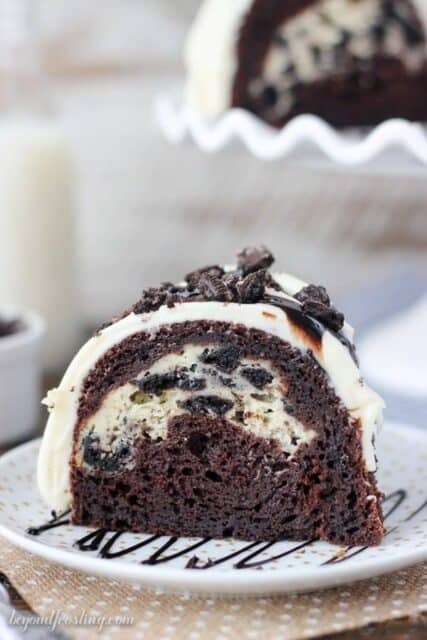 Hi Julianne, thanks for sharing this recipe! I usually use just cocoa in the batter and this was the first time I made them also with coffee; they were so delicious 😀 I will definitely bake more soon. Thanks! Awesome Marta!! Thank you for sharing! !